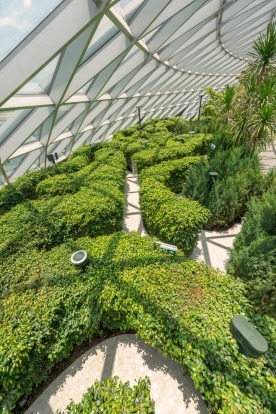 View of Shiseido Forest Valley and HSBC Rain Vortex from the south viewing deck. 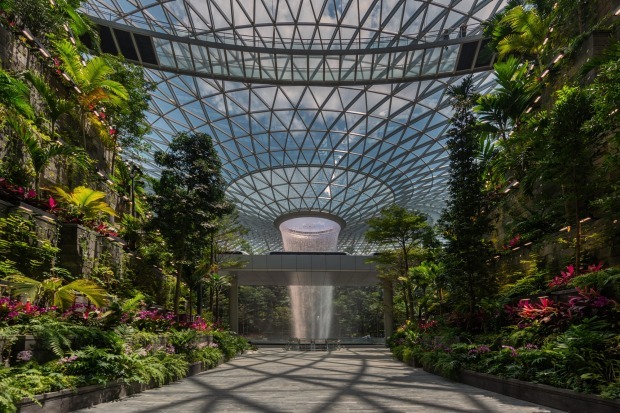 Officially opening on April 17, Singapore's Changi Airport Jewel has been highly anticipated. In the lead-up to the ribbon cutting, the president and first lady had a special appointment to see it. Frenzied locals snapped up 500,000 preview tickets online to do the same. National publications gushed breathlessly about its myriad attractions before even clapping eyes on it. And on April 10 and 11, media from all over south-east Asia, China, Australia and beyond gathered to check it out. For what is, on the face of it, a shopping mall in Singapore – a place not short on retail – the interest has been huge. 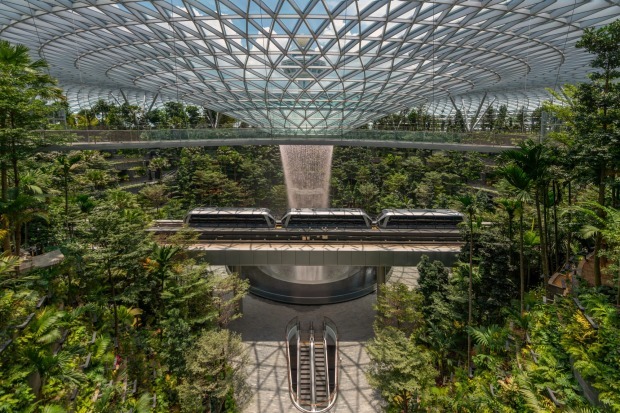 But of course, the Jewel Changi Airport is so much more than a mall. 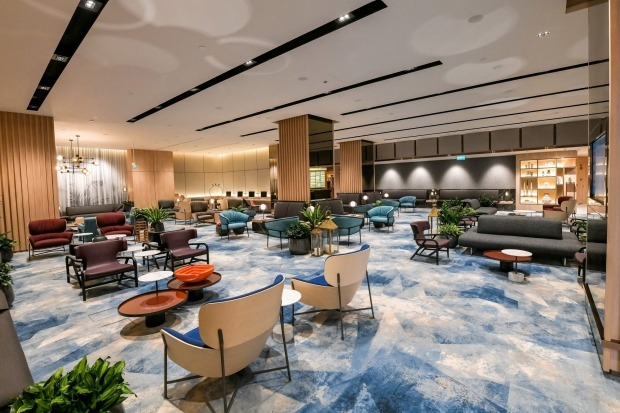 It's a game changer in international airport development that could, for some time to come, ensure Singapore's Changi continues to leave all others in the dust when it comes to world's best facilities. Some airports are bigger. Some in the pipeline will be even bigger still. But size, in this case, may not matter. 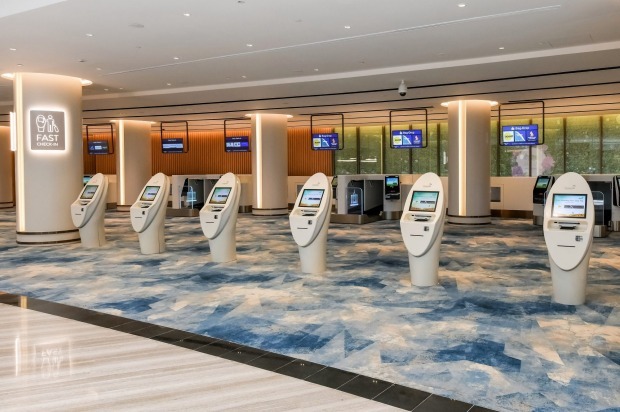 Currently enjoying its seventh consecutive year as the SkyTrax World's Best Airport, Changi's new development is undoubtedly stunning and fun. 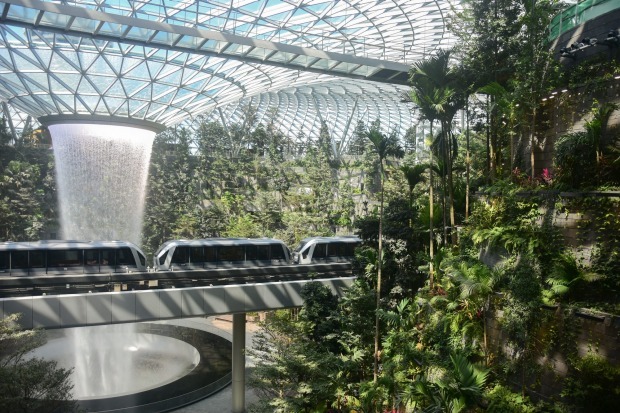 It is also home to facilities and processes that will make it easier for travellers to enjoy it – and Singapore beyond. 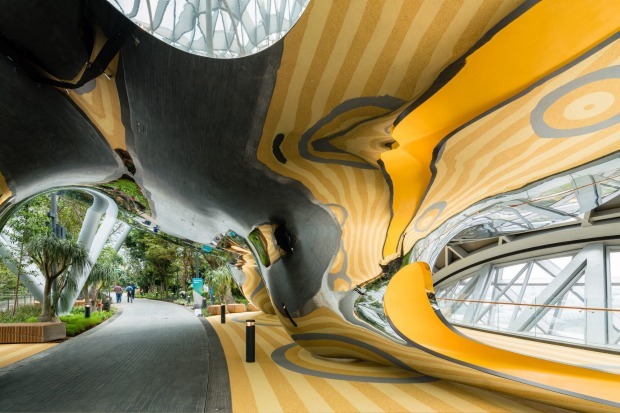 It's the environment encasing these new attractions that has the superlatives flowing. 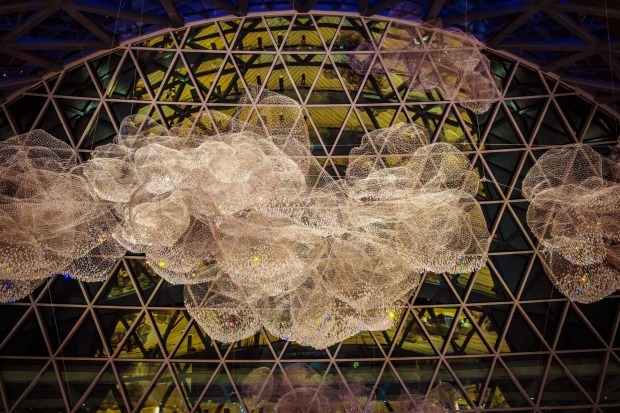 Designed by a consortium led by the highly esteemed and awarded Safdie Architects, whose principal, Moshe Safdie, is renowned for ground-breaking urban design, Jewel is as much garden as it is urban centre. 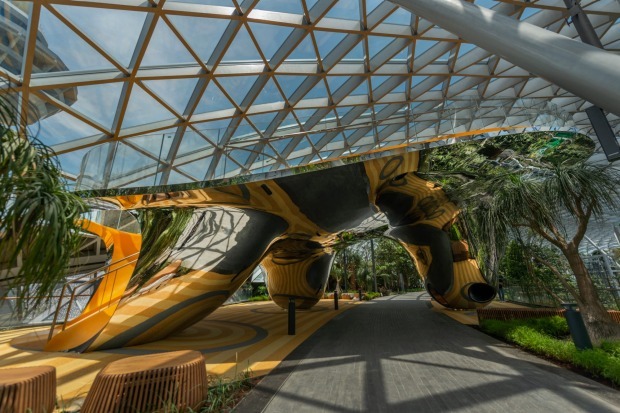 The facade is an extraordinary opening statement: a grid shell supported by a ring of tree-like columns and a ring beam at the edge of the roof, with a membrane of clever glass creating the right environment for the comfort of both indoor plants and humans. 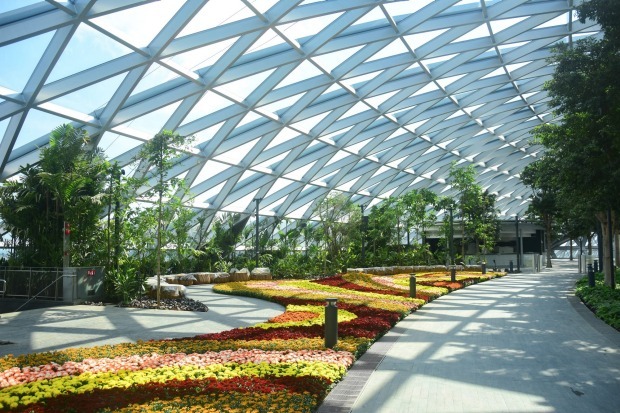 The area called Canopy Park on Jewel's top floor opens in June. 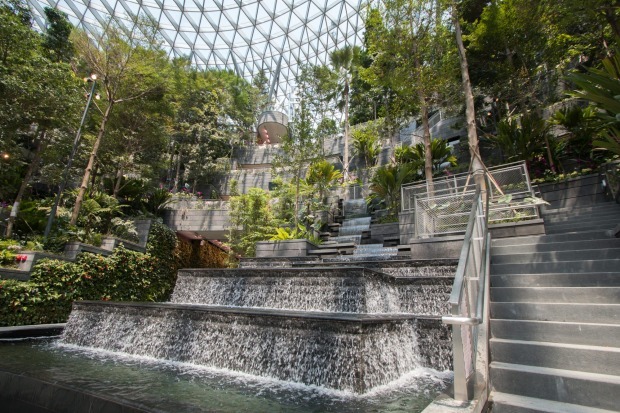 It covers 14,000 square metres, and is lushly planted with Singapore's largest collection of indoor plants. 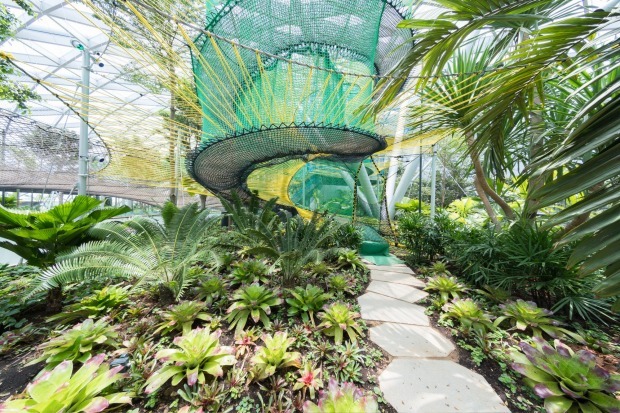 The 50-metre Canopy Bridge, which suspends 23 metres above ground, will have glass-panel flooring in the centre portion for visitors to look down to ground level. 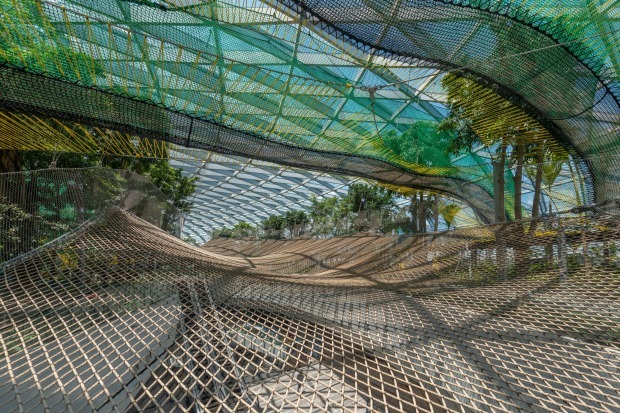 Some of the play attractions include Canopy Mazes, a Bouncing Net and a Walking Net, and Discovery Slides, described as a "sculptural playground" for all ages. 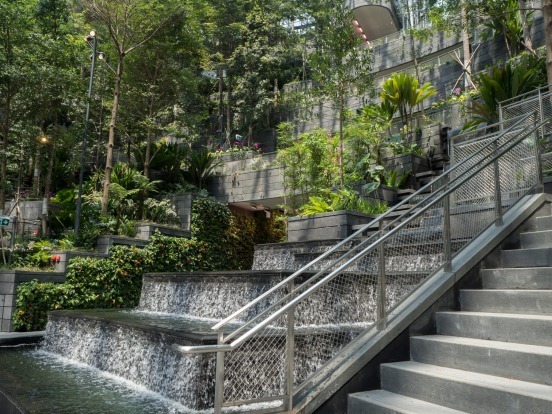 The shops and restaurants are surrounded by Forest Valley, four storeys of greenery and the soon-to-be-much-Instagrammed centrepiece, the HSBC Rain Vortex: at 40 metres, the highest indoor waterfall in the world. In terms of traveller practicalities, Jewel offers much for Australians. In 2018, Qantas reinstated Changi as its Australia-Europe stopover. Last year, there were 5.97 million passenger movements on flights between Singapore and Australia, with 1.11 million Australian travellers entering Singapore. 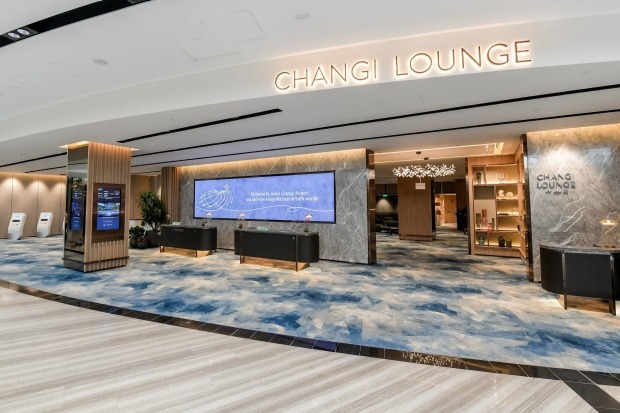 The hope is that will increase – Jewel, which is seamlessly connected to all Changi terminals, was devised during the expansion of Terminal 1 as a stopover enticement and big, bright advertisement for the attractions of Singapore in general. 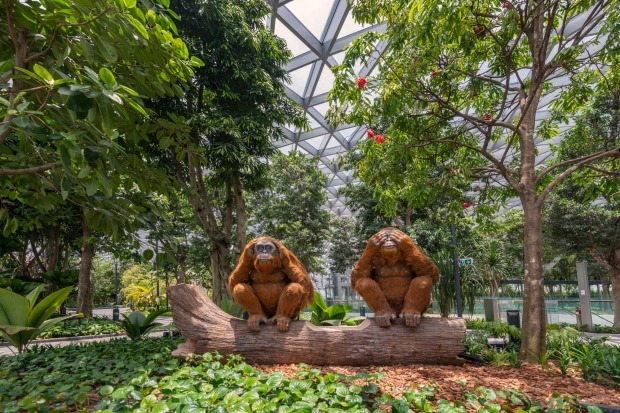 Changi Airport's myriad delights already make it the traveller's choice for lengthy transfers (if you have to do them) and the Free Singapore Tour is available for those with more than 5½ hours on their hands. Now, with similar layover times there will be the option to pop across to Jewel. And for those heading home or away from Singapore, Jewel has early check-in counters and baggage storage facilities (including for hand luggage), open from 6am to midnight daily and the Changi Lounge, which provides easy transfers for passengers joining cruise ships in Singapore as well as ferry services. 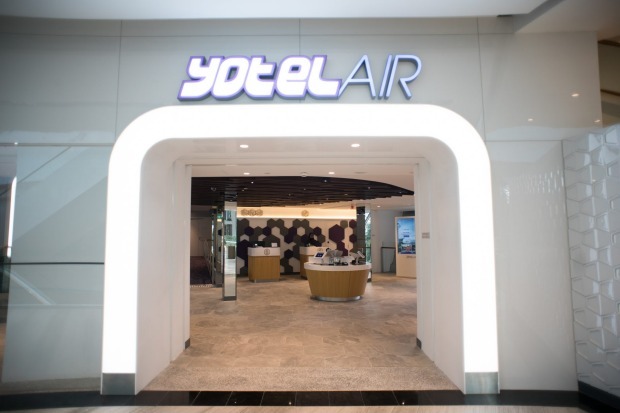 Additionally, Jewel is home to the 130-room YOTELAIR Singapore Changi Airport, designed for travellers who need flexible check-in and check-out timings. A Tiger Beer offering where beer lovers can taste exclusive-to-Jewel seasonal brews, inspired by elements of Singapore and local ingredients. Pokemon's first centre outside of Japan, selling plushies and other merchandise. Yes, it's still hugely popular and made a reputed $US795 million in 2018. Forgot your spare smalls? The upmarket Singapore women's underwear retailer hosts an underwear vending machine. The largest Nike concept store in south-east Asia is set to be a destination in its own right for sneaker lovers and sport apparel aficionados. A hawker-style market where lovers of cooking will be able to visit a stall by Anthony the Spice Maker, the Singaporean handcrafter of traditional flavours who has a cult following and is adored by celebrity chefs. 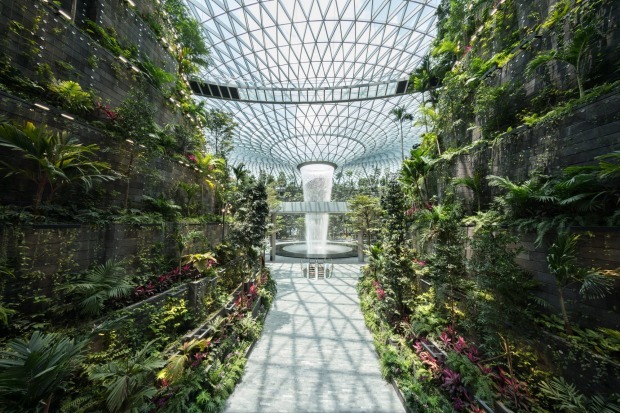 Julietta Jameson travelled to Singapore as a guest of Changi Airport Group.